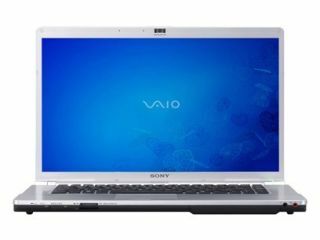 Sony is to recall around 73,000 - with some reports saying it could be as many as 440,000 - Vaio laptops in the US with the co-operation of the Consumer Product Safety Commission (CSPC). A problem has been found that may lead to a short-circuit and overheating with the risk of its operator being burned. Thus far, the injury toll covers one minor burn and 15 complaints of overheating. The four Vaio models involved are the VGN-TZ100, TZ-200, TZ-300 and TZ-2000 sold between July 2007 and August this year. Owners are advised to check their serial numbers and product codes from the relevant Sony support page. If your number comes up, you are advised to switch off the machine, unplug it and remove the battery. The Japanese company is offering free inspection, and to repair the unit if the problem is confirmed. The fault involves either a loose wire and/or a misplaced screw, close to the hinge. Luckily, no British models have so far been affected but the laptops have been sent to over 48 countries in the world, with 67,000 reportedly sold in Japan. The recall of over five million batteries cost Sony some $430m last year when dodgy power sources in Dell and Apple laptops caused a number of machines to go up in flames.